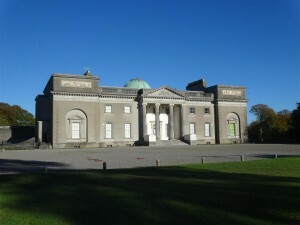 Emo Court was designed by the architect James Gandon in 1790 for the Earls of Portarlington and is a magnificent example of this neo-classical style. During the middle of this century it was owned by the Jesuits, it was then acquired and extensively restored by Mr. Cholmeley-Harrison in the 1960s. The house is surrounded by beautiful gardens and parkland which were first laid out in the 18th century and contain formal lawns, a lake and woodland walks with many very fine trees and shrubs. The house and gardens were taken into State ownership in 1994. 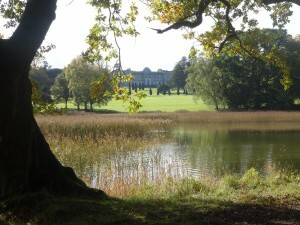 Located in Emo, County Laois, the house is surrounded by beautiful gardens and parkland which were first laid out in the 18th Century and contain formal lawns, a lake and woodland walks with fine trees and shrubs.